Texas Governor Rick Perry appears to be out doing his opponents who have made the curtailment or actual elimination of the EPA a major part of the Republican presidential election (here and here). While Newt Gingrich wants to disband the EPA, Perry has brought in the big guns and announced that he actually prays to God to seek divine intervention in curtailing pollution laws. Yet the Bible does say “Have faith in God,” Jesus answered. Therefore I tell you, whatever you ask for in prayer, believe that you will receive it, and it will be yours.” (Mark 11:22, 24). 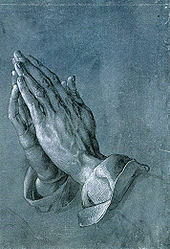 Thus, it is possible to offer the following prayer: “Dear Lord, bless your humble servants and reduce the burden for our corporations by rescinding parts 239 through 282 of 40 of the Code of Federal Regulations under the Resource Conservation and Recovery Act as well as the National Ambient Air Quality Standards (NAAQS) under authority of the Clean Air Act (42 U.S.C. 7401 et seq. ).” That is so much more constructive than those silly “end world poverty” or “bring peace to the world” prayers. http://www.statesman.com/opinion/another-texan-throws-hat-in-the-ring-1744241.html A Texan has been president or vice president 36 out of the last 58 years. http://www.foxnews.com/politics/2011/08/14/obamas-approval-rating-drops-to-lowest-ever-according-to-gallup/ After the tea party orchestrated S&P downgrade, Obama drops further in the polls. Perry and Romney will duke it out with Bachmann playing the spoiler. 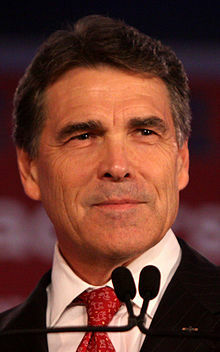 http://www.thedailybeast.com/articles/2011/08/13/rick-perry-a-candidate-who-will-do-anything-to-beat-romney-and-obama.html Paul Begala met Perry in 1985. He gets him.